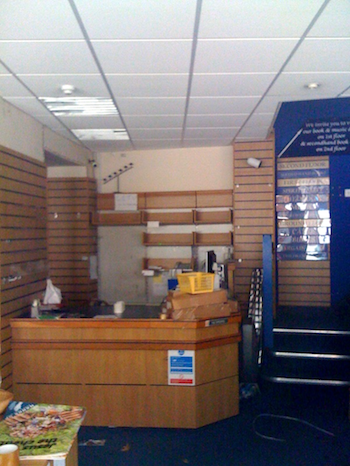 Despite ongoing conversations with the Nationwide Christian Trust, I’m told that this weekend will see another four five of the abandoned branches of Wesley Owen — Chester, Dundee, Inverness, Macclesfield and Walsall — finally cease trading. 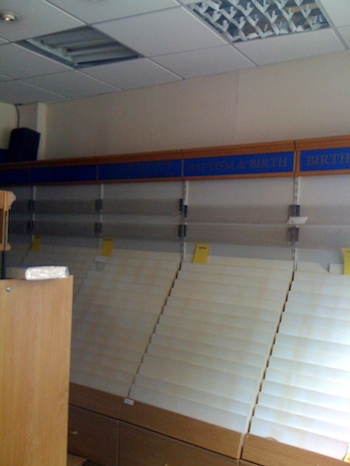 That leaves branches of CLC in Dundee and Inverness, but no overtly Christian retail presence in the other three towns, and more Christian booksellers unemployed: please continue to pray for all the staff and their families. Chester is home to eden.co.uk, the UK’s (and probably Europe’s) biggest online Christian retailer, and last weekend Gareth Mulholland, Eden’s owner, indicated that they’re involved in discussions with friends and church leaders about the future of Christian retail in the city. 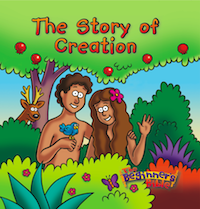 If you live in the area and would like to take part in those discussions, you can request membership of the Chester Christian Bookshop facebook discussion group. Please pray for Gareth and everyone involved in those discussions. Adapted from Removals Fairies Strike at former SPCK Bookshop, Chester. Thanks to the intrepid SPCK/SSG photographer for the pics. It’s frightening to think that in Chester and other UK cities, there will no longer be a Christian bookshop. In seeking a new home for Christian literature, one wonders whether cathedrals and larger churches could come to the rescue. 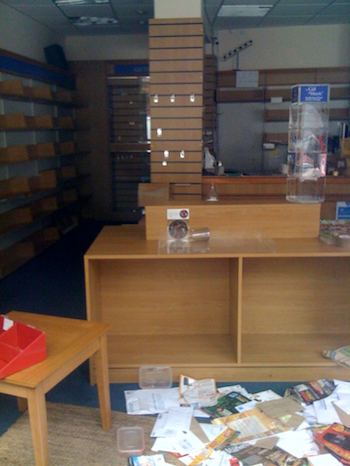 Response to the sale of Christian books in such buildings is patchy. Some genuinely do not have space, but others, such as Southwell and Peterborough have made space outside the building by the construction of new Visitor Centres. Properly managed, a good book and gift shop can earn income as well as being a point of mission for the area. Visitors then see the Cathedral as not just a heritage site, but as a beacon of Christianity. Hi All. We’re pleased to announce plans to reopen the Walsall shop shortly after it closes. The shop will be rebranded as “The Hub Christian Resource Centre Ltd” and will operate as a combined Resource Centre and high street missions “hub”. Press release to follow shortly. Drop me an email and I will get you a copy of the press release. In a nut-shell, we have the support of our landlords, and the community, and are looking to be closed for no more than three weeks. We are making final arrangements over the next few days, and are looking to make formal and final announcements about everything on Monday… But rest assured, nothing that remains outstanding will change the fact that in a few weeks time, we will be opening as “The Hub”.